Cool off with these sweet treats and you'll be wanting them year-round. How do some areas of Asia like to give into their sweet tooth, you ask? Whether they're extra sweet, cold, hot, creamy or added with texture, there's always a dessert out there made for everyone's liking. 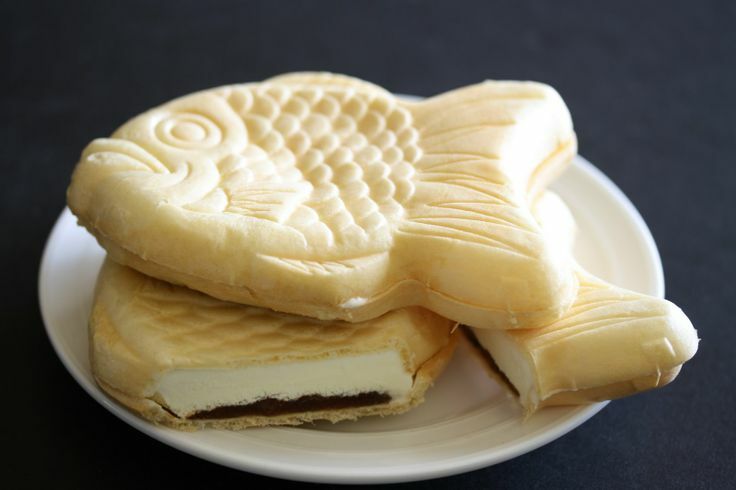 Here are six delicious Asian desserts that go great with enjoying summer's blooming beauty! 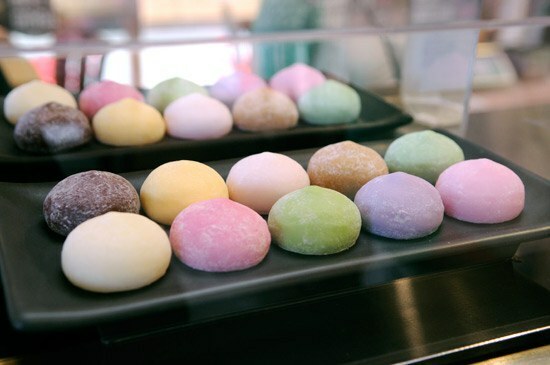 Mochi, a type of sticky and chewy rice cake widely eaten in many variations throughout East and Southeast Asia, is the main ingredient in Mochi ice cream. 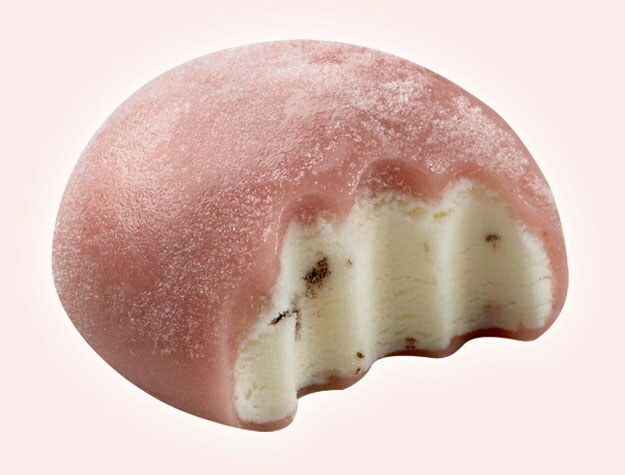 Originating in Japan, it is a cute treat made up of a thin layer of Mochi wrapped around a mini-scoop of ice cream and frozen into a round shape for a solid bite. Mochi ice cream comes in a variety of flavors. 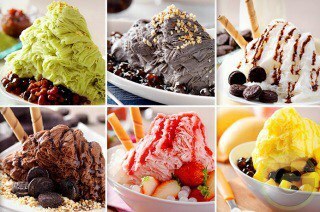 Other than the regular vanilla, chocolate and strawberry flavors, popular ones include green tea, red bean or azuki bean, mango and lychee. Some fun flavor combinations that have been created are chocolate Mochi with peanut butter or coffee ice cream inside, or even raspberry Mochi with white chocolate ice cream, along with many more. The sweet, chewy, cool and creamy bite will have you reaching for seconds, thirds and so on! 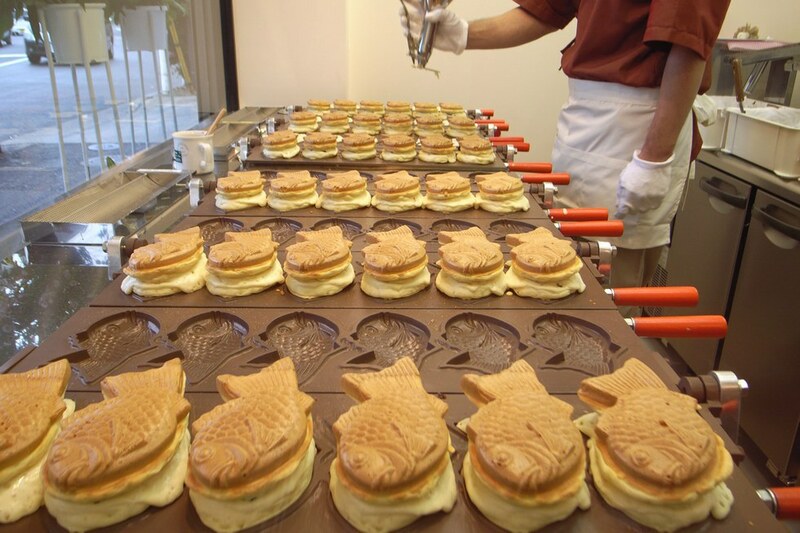 Another one of Japan's many wondrous food creations, this fish-shaped and molded pancake is filled with sweet azuki beans. After consuming this sweet and common street snack, you'll be left wondering why everything else has not yet been shaped into a cute animal! Ice cream, custard or chocolate is sometimes added inside as well. Fun fact: Korea also has a very similar version of this, called Bungeoppang. 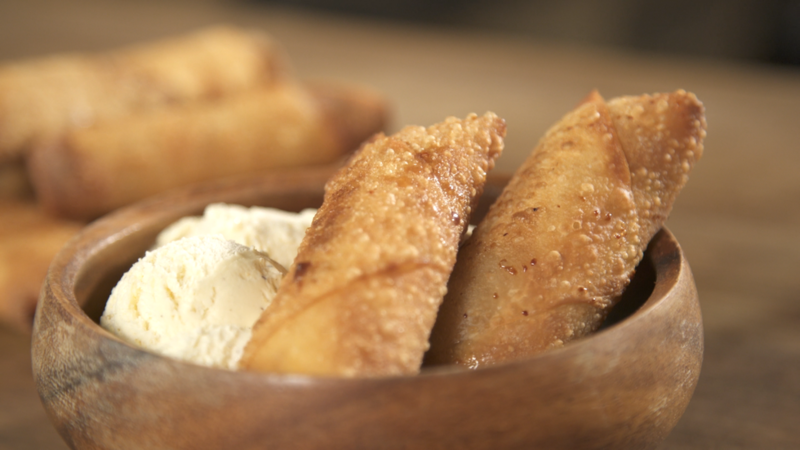 Instead of the savory spring rolls you usually order in Asian restaurants that are filled with meat and mixed veggies, these ones are filled with sweetened bananas and sprinkled with brown sugar, then fried for a caramelized exterior. The light crisp on the outside and chewy bite from the inside make a yummy combination. This sweet and crispy roll can be seen being sold by street vendors in the Philippines or made for family parties. Feel free to add vanilla ice cream, chocolate or caramel sauce too! As the Korean Patbingsu translates to "red beans with ice," this shaved ice dessert consists of shaved ice, condensed milk, fruit syrups, azuki beans, various chunks of fresh fruit like kiwi, mango, blueberries, strawberries or bananas, and chewy bits of rice cakes and jellies, and is then topped with ice cream or frozen yogurt and sprinkled with crushed cereal or nuts. With portions big enough for more than for a single person, Patbingsu is usually shared with friends for all to enjoy during or after a hot day! Another Filipino dessert, this one consists of shaved ice, evaporated milk, Jell-O and tapioca pieces, sweet beans and bits of fruit like shredded coconut, jackfruit and sweetened plantain. A scoop of ube or purple yam ice cream and a piece of leche flan tops the tropical mix! 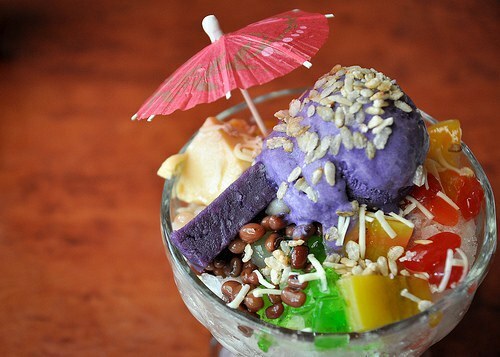 Tip: As halo-halo in Tagalog translates to mix-mix in English, this dessert is supposed to be thoroughly mixed before eating so all the flavors and textures will be incorporated together in one bite! Just as if we don't love boba or bubble tea already, another sweet concoction made popular from Taiwan is none other than snow ice or shaved snow. This one is different from regular shaved ice, as this uses low fat milk to shave the ribbon-like aesthetic from the shaving machine. The flavor is then immediately incorporated into the shavings, unlike regular shaved ice where syrup is expected to soak into the ice. Once you take a bite, the ribbonlike shavings immediately melt in your mouth like clouds and feathers. No joke! A wide variety of toppings like azuki beans, pound cake, mochi pieces, crumbled cookies, nuts, fruity tapioca, drizzles of sweet sauces and much more can be added onto it, depending on what you like. With Patbingsu, Halo-halo and Snow Ice, it's no surprise that Asians really like their shaved ice, sweet beans and yummy fruit! Be sure to take a break and treat yourself to a sweet snack as you cool off this summer!